Steve Hannagan’s Blog will tell the story of a peer without peers among press agents in the first half of the twentieth century. 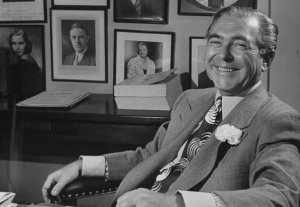 Hannagan was a highly-successful pioneer of public relations who built ground-breaking publicity campaigns for the Indianapolis 500, Miami Beach, Sun Valley, Las Vegas, the 1940 Presidential Campaign, and Coca Cola. He developed, tested, and refined many of the press and publicity principles commonly used today. Along the way, Steve Hannagan knew or worked with most major figures and celebrities of his era. His colleagues and friends spanned business, Hollywood, Broadway, New York’s Café Society, the news media, politics, and sports. Hannagan was a garrulous, charming, whip-smart press agent who never pulled a phony deal. His honesty and charm opened doors to the powerful. His press campaigns were sensational or subtle and always caught the eye of the intended audience. His success always ensured a steady stream of business to his firm. 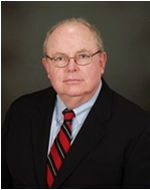 The Hannagan Blog will be issued regularly with new stories about Steve plus his promotional principals called the “Hannagan Way.” Below are several vignettes that will introduce you to Steve Hannagan and to the stories and pictures that you will see in future editions of the Blog. From 1919 to 1945, Steve Hannagan and his firm were the publicists for the Indianapolis Motor Speedway. 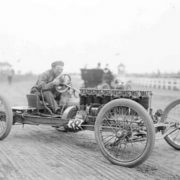 Steve came to the Speedway in 1919, when Carl Fisher, founder and President of the track, asked Russell Seeds for help in spurring track attendance that had stagnated after several years of spectacular growth. 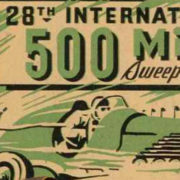 Seeds sent Steve to the track, where he turned the Indianapolis 500 into a household word during the month of May. Steve met Eddie Rickenbacker in his first years at the Indianapolis Motor Speedway. At that time, Rickenbacker was setting out on a 48 state promotional trip of his new metal monoplane and need a publicist. Rickenbacker enlisted Steve as a flying publicist to deliver press releases to local newspapers at each landing. Steve also sent a running commentary of the large crowds meeting them and several emergency landings due to loss of fuel. They reached more than forty states before Rickenbacker abandoned the publicity tour after the third emergency landing damaged the plane. After the conclusion of the flight, Steve provided Illustrated Weekly, a national popular scientific publication, with the full story of the flight. Steve with the crew next to the plane. Steve promotes Rickenbacker new auto venture. In the early 1920s, Rickenbacker organized the Rickenbacker Motor Company. The car was handsomely designed technological marvel. He began production of the Rickenbacker in 1922 and soon after asked Steve Hannagan to help promote the new car. However, the automobile struggled because of its high price, $5,000 ($70,000 in current dollars). Rickenbacker did not enjoy manufacturing and soon told Steve that he should move to Miami Beach to work for Carl Fisher, where there were greater opportunities. 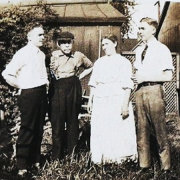 Steve and Rickenbacker – Lasting Friends; in 1922, Steve was Rickenbacker’s best man at his wedding. They remained close friendship to the end with Rickenbacker as executor of Steve Hannagan’s will. In the mid-twenties, Carl Fisher brought Steve Hannagan to Miami Beach for the same reason that he placed Steve in charge of publicity at the Speedway. Fisher knew that Hannagan’s could juice sales of Fisher’s properties on Miami Beach. Within a few years, Steve turned local Bathing Beauties into icons of the sun and fun open to travelers to Miami Beach. Steve remained head of publicity for the Beach until 1945, when the town wanted to make a change and Steve had moved on to promoting Coca-Cola. Averell Harriman Needs a Destination for Union Pacific Passenger Traffic. 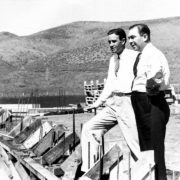 During the middle of the Great Depression, the President of the Union Pacific Railroad, Averell Harriman, sought a location for an upscale ski resort to spur Union Pacific passenger traffic. 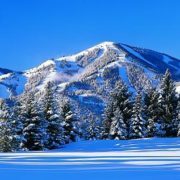 Harriman sent Count Felix Schaffgotsch, an Austrian ski instructor, to scout locations in Wyoming, Colorado, and Idaho. The main condition was that the location had to be near the Union Pacific mainline. The Count found a valley outside of Ketchum, Idaho surrounded by mountains that could be groomed for skiing trails. Harriman liked the proposal, but he had one big question – was the location marketable. This is when Steve Hannagan comes onto the scene. Steve names Sun Valley; Steve’s first visit to the proposed resort was by rail y handcar from the mainline to Ketchum, Idaho, and then by sleigh. As he rode bundled against the deep freeze temperature of the valley, his first reaction was that the place was too cold to sell as an upscale ski resort. As they entered the valley, he began to shed layers of heavy winter coats. 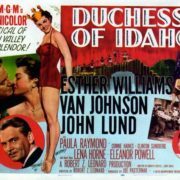 Immediately, he knew the name to give the resort – Sun Valley. There are many interesting stories about Steve’s contribution to the design of the resort that will be reported in future blogs. For instance, it was Steve Hannagan who came up with the idea of the ski chair. Gloria Swanson, Hollywood movie star and paramour of the fabulously wealthy Joseph P. Kennedy, became a close companion of Steve’s during his early years in Miami Beach. It is hard to imagine how Steve could compete with Joe Kenned. Nevertheless, Steve briefly gained the upper hand before Joe took his affair with Swanson seriously. Whenever Swanson stopped by Steve’s office to see him, work stopped, and all the unregenerate men ogled the sleek actress. Dan Mahoney, editor of the Miami Herald and close friend of Steve’s, later said that “Miss Swanson was crazy about Steve. Steve Hannagan told his associates and friends, Coca-Cola was the best job that he ever had. Steve’s two responsibilities at The Coca-Cola Company were to act, first as a buffer between the press and President, Robert Wordruff, and second to assist in marketing Coca-Cola. As Woodruffs buffer, Steve advised him on how to deal with national and international issues affecting the Company. A later edition of the Hannagan Blog will cover what he did to help Coca-Cola expand globally by overcoming an attempt by the French government to ban the soft drink. For the second responsibility, marketing of Coca-Cola, Steve devised a massive product placement campaign in Hollywood movies, the radio, and television. Product Placement; Jack Benny in the left-handed picture advertised Coca-Cola on his shows but also included Coca-Cola in his radio and television. Before Steve passed, he refined product placement into a well-honed tool for publicizing a product. Product placement became a major component of the ‘Hannagan Way’. Another device from the ‘Hannagan Way’ that Hannagan applied to Coca-Cola involved the addition of a beautiful young woman to the sales pitch. In the picture below and to the right is Kaye Williams, a favorite of Hannagan’s in the 1950’s. Later she became Clark Gable’s last wife and the mother of his only child. People and Places – more stories and pictures are coming! i Photograph of Steve Hannagan (January 1950); Image 50712327 Photo Lofman/Pix Inc./Time Life Pictures/Getty Images. ii Photograph of Ralph DePalma; retrieved July 1, 2012; http://www.flickr.com/photos/indianapolismotorspeedway/6384991439/. iv Photograph of Steve Hannagan in the 1926 Pace Car (June 28, 2011) ; copy from the Indianapolis Motor Speedway Photograph Library. v Photograph of women on the beach (Retrieved March 5, 2013); http://images.search.yahoo.com/images/view;_ylt=A0PDoS6vFTZRohAA9JOJzbkF;_ylu=X3oDMTBlMTQ4cGxyBHNlYwNzcgRzbGsDaW1n?back=http%3A%2F%2Fimages.search.yahoo.com%2Fsearch%2Fimages%3Fp%3DMiami%2Bbathing%2Bbeauties%26n%3D30%26ei%3Dutf-8%26y%3DSearch%26fr%3Dyfp-t-900%26tab%3Dorganic%26ri%3D2&w=600&h=489&imgurl=2.bp.blogspot.com%2F_axwEeSXAOSk%2FS7o_NqP7CbI%2FAAAAAAAAB1g%2FYe46sIL9GW8%2Fs1600%2Fday%2Bat%2Bbeach%2B1925.jpg&rurl=http%3A%2F%2Fmiamiarchives.blogspot.com%2F2010%2F04%2Fmiami-beach-bathing-beauties.html&size=71.7+KB&name=Miami+Archives%3A+Miami+Beach+bathing+beauties&p=Miami+bathing+beauties&oid=520f453cd9d0812adb63fc986e9ac2d1&fr2=&fr=yfp-t-900&tt=Miami%2BArchives%253A%2BMiami%2BBeach%2Bbathing%2Bbeauties&b=0&ni=21&no=2&ts=&tab=organic&sigr=12b5c2vfv&sigb=13qk902o6&sigi=12uvtc035&.crumb=bE4f.9Ci8e. vi Photograph of a model with an umbrella in the 1930s (retrieved March 5, 2013); http://www.floridamemory.com/items/show/3702. vii Photograph of Bathing Beauties at Fabulous Miami Beach (retrieved March 5, 2013); http://images.search.yahoo.com/images/view;_ylt=A0PDoTHfKT9RiyMAGE6JzbkF;_ylu=X3oDMTBlMTQ4cGxyBHNlYwNzcgRzbGsDaW1n?back=http%3A%2F%2Fimages.search.yahoo.com%2Fsearch%2Fimages%3F_adv_prop%3Dimage%26va%3Dmiami%2Bbeach%2Bbathing%2Bbeauties%26fr%3Dyfp-t-701%26tab%3Dorganic%26ri%3D2&w=300&h=191&imgurl=www.floridata.com%2Ftracks%2Fray%2Fimages%2FBathingBeauties.jpg&rurl=http%3A%2F%2Fwww.floridata.com%2Ftracks%2Fray%2Fchap5_thetwenties.cfm&size=24.2+KB&name=Bathing+Beauties+at+fabulous+Miami+Beach&p=miami+beach+bathing+beauties&oid=8b917547be9386317de5073092dab66a&fr2=&fr=yfp-t-701&tt=Bathing%2BBeauties%2Bat%2Bfabulous%2BMiami%2BBeach&b=0&ni=128&no=2&ts=&tab=organic&sigr=11p4otsjs&sigb=13q61m3gn&sigi=11nfaq5b1&.crumb=bE4f.9Ci8e. viii Photograph of Gloria Swanson (retrieved April 15, 2013); http://images.search.yahoo.com/images/view;_ylt=A0PDoKpqVGxR4iUAYgSJzbkF;_ylu=X3oDMTBlMTQ4cGxyBHNlYwNzcgRzbGsDaW1n?back=http%3A%2F%2Fimages.search.yahoo.com%2Fsearch%2Fimages%3F_adv_prop%3Dimage%26va%3Dgloria%2Bswanson%26fr%3Dyfp-t-900%26tab%3Dorganic%26ri%3D1&w=664&h=800&imgurl=4.bp.blogspot.com%2F-uuNxPYvcdP8%2FTsmb2D6QP9I%2FAAAAAAAANbs%2F1mrSTGS-xCc%2Fs1600%2FGloriaSwanson3-1.jpg&rurl=http%3A%2F%2Fdazzlingdivas-ladivas.blogspot.com%2F2011%2F11%2Fgloria-swanson.html&size=54KB&name=Gloria+Swanson&p=gloria+swanson&oid=8f2d4b6962dfd8cfa6a07ae9582d6d73&fr2=&fr=yfp-t-900&tt=Gloria%2BSwanson&b=0&ni=112&no=1&ts=&tab=organic&sigr=125qq3vde&sigb=13cffpjt6&sigi=12tmnel8q&.crumb=bE4f.9Ci8e.&fr=yfp-t-900. 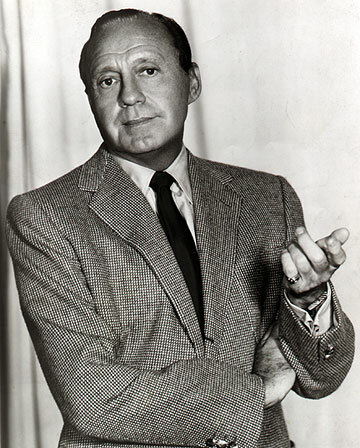 ix Photograph of Jack Benny (retrieved December 28, 2014); http://www.jackbenny.org/Pix/Portraits/1961_1974/benny%20gesture.jpg. x Photograph of Kay Williams in Coca-Cola Advertisement (retrieved November 25, 2014); http://www.amazon.com/Coca-Cola-International-Illustration-drinking-Colliers/dp/B0081S624Q.